Get the most for your maintenance dollar. Save 25%. We’ll inspect your washer and dryer for proper functioning, wear and tear, water and gas leaks, and more. Save 40%. 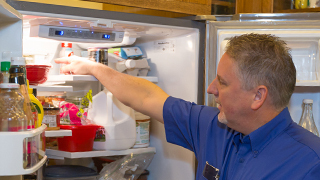 We’ll inspect your refrigerator, dishwasher and oven for proper functioning, water and gas leaks, and more. Save 50%. 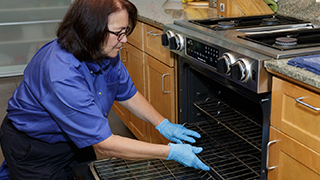 You’ll get everything in the Kitchen and Laundry Appliance Check-up services for one great price. • Water and gas leaks. • Leaks, kinks, or obstructions in the exhaust system. • Excessive noise and vibration during spin cycle, and much more. • Fact 2 lorum ipsum lorum ipsum lorum ipsum. • Fact 3 lorum ipsum lorum ipsum, and much more. Save more than $200. You’ll get everything in the Kitchen and Laundry Appliance Check-up services, for one great price. • Our very best maintenance value. • This package is a great complement to your Spring or holiday cleaning. • Helps extend the life of the most important appliances in your home.